Caitlin Rucker attended Sarah Lawrence College with a concentration in Devised Theatre Directing. 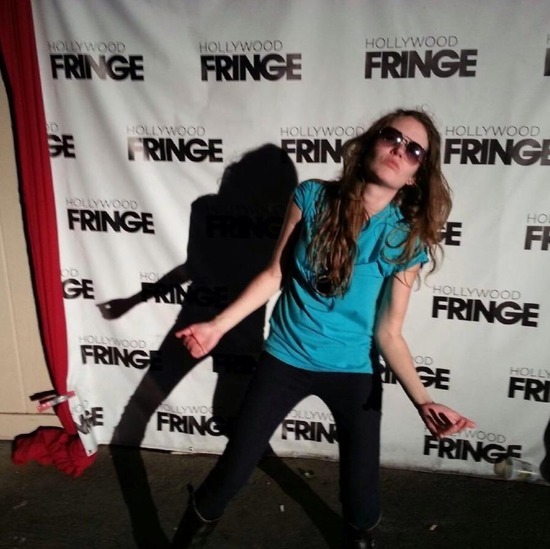 After interning and performing with Richard Foreman at the Ontological Hysteric Theatre in New York City, she Tech Managed for the Boulder Fringe, as well as the Hollywood, San Diego and Chicago Fringes and assessed for the Total Theatre Awards at Edinburgh Fringe. Recently, along side regularly working in stage management and technical support in the Los Angeles 99-seat theatre community, she has been delving into lighting design for theater, music videos and concerts as well as directing. She is excited to be directing “The 7th Annual One Man Show World Championships” at Theatre Asylum this upcoming June. Her free time is spent developing her own work in performance, concentrating on her character/alter ego Chuck Rucker.